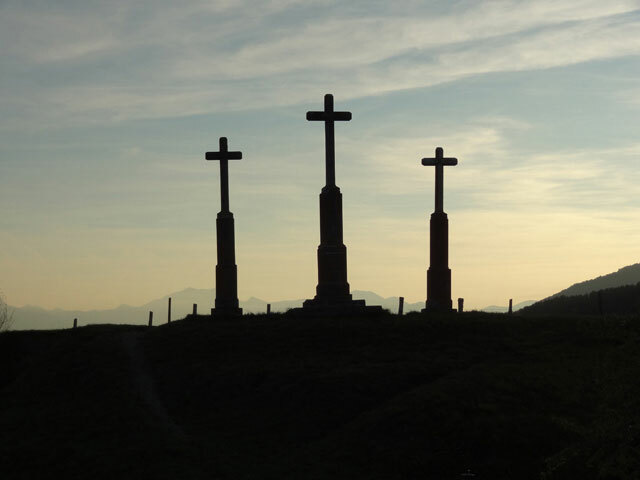 Three stone crosses, known as the Calvary (Le Calvaire), are located on a hill to the north of La Mure, within walking distance of Eymard’s home. 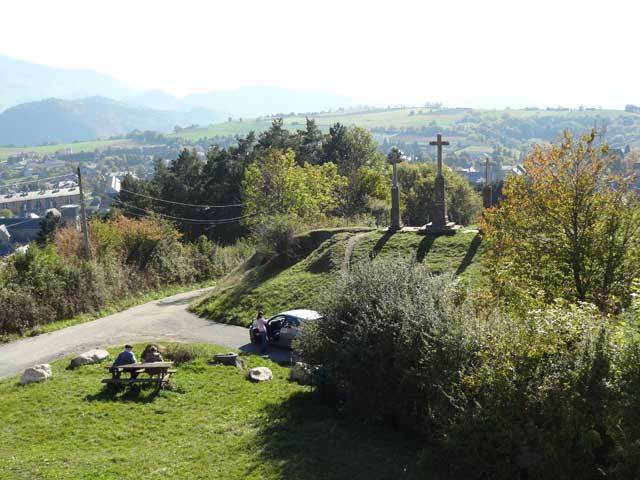 It is understood that the crosses were erected in 1863 on the site of the Chapel of Calvary (Protestant), which was destroyed during the Wars of Religion in 1580. After escaping from Elba, Napoleon is reputed to have stopped with his troops on this hill on 7 March 1815 during his final journey to Paris to overthrow Louis XVIII. Praying the Stations of the Cross was one of Eymard’s earliest devotions. His biographers record that he would regularly walk the path from his home in rue du Breuil to the Calvary at La Mure. It was said that as a personal penance he often climbed the hill while walking barefooted in the snow. The Napoleonic connection at the Calvary is a reminder of a story that Eymard as a child had probably witnessed Napoleon and his troops march through La Mure in 1815. Eymard was allegedly so impressed with Napoleon’s men that he stole a plume from a shop so that he could have a feather in his cap like them. If the story is true, Eymard would have been barely four years old at the time.